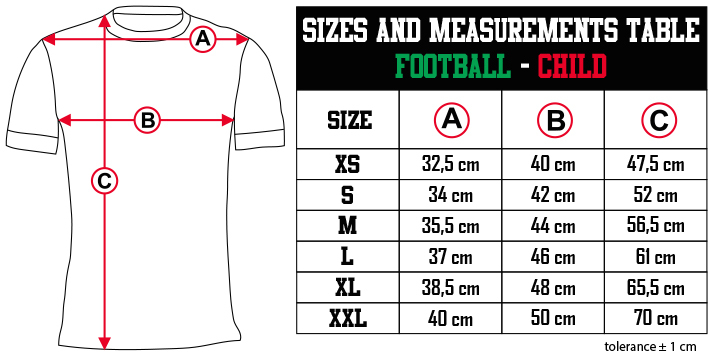 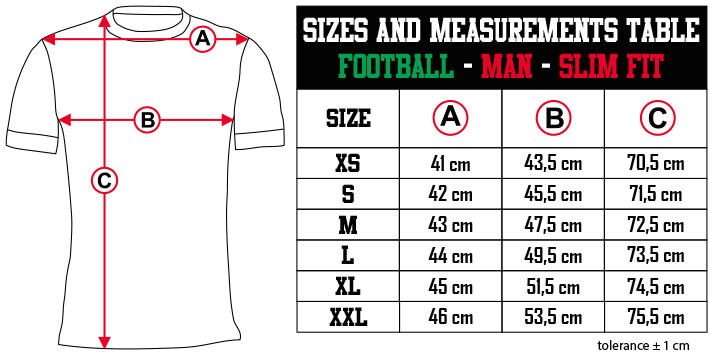 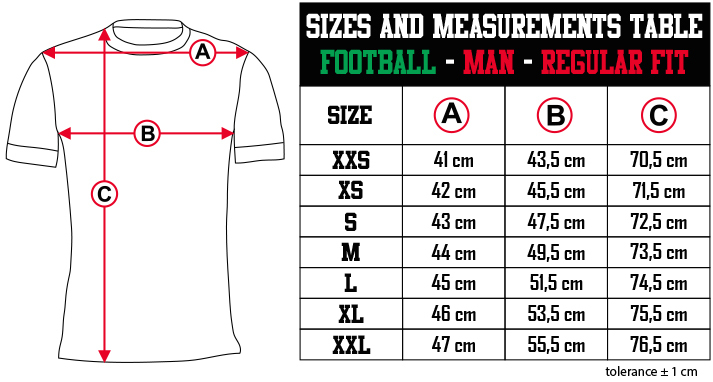 The shirt of this football uniform is made of technical polyester fabric. 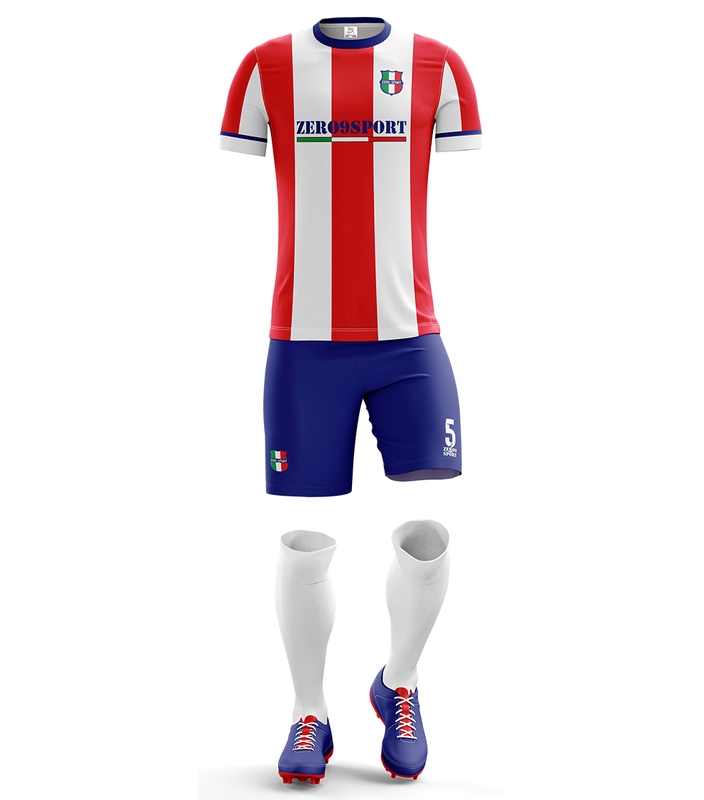 This model provides vertical lines of fine width softened in the lower part. 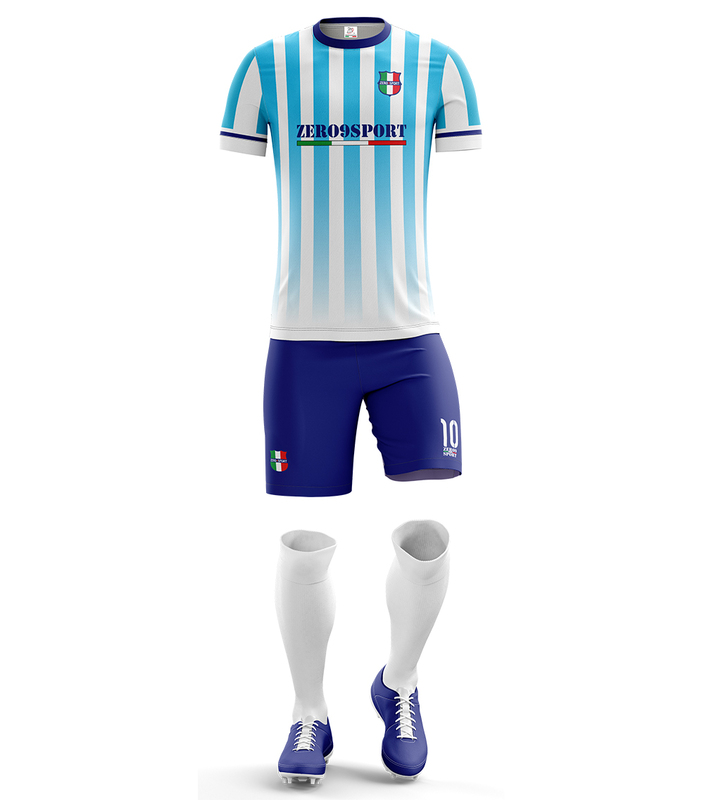 The main color is light blue, the secondary color is white. Contrasting these colors, the collar is in blue. 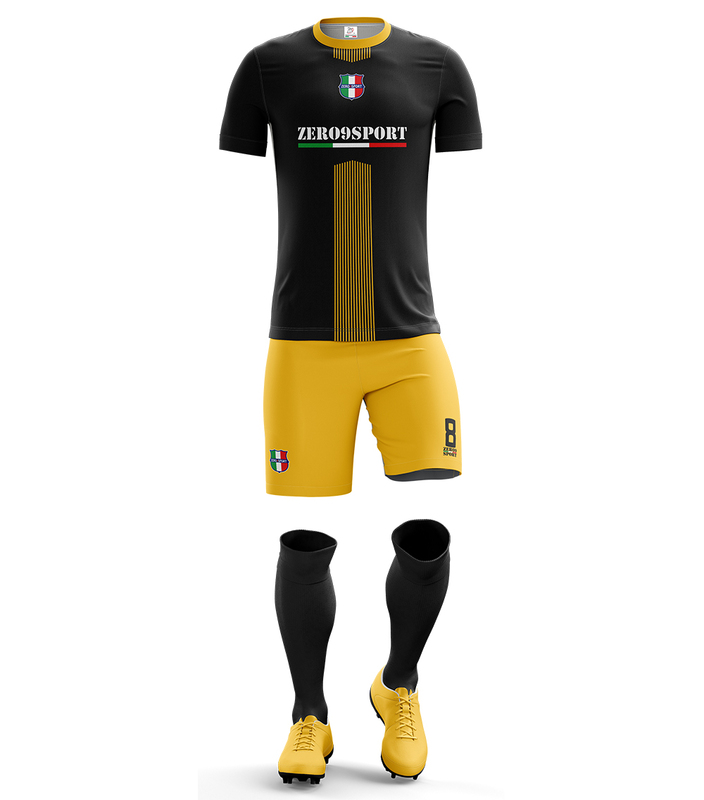 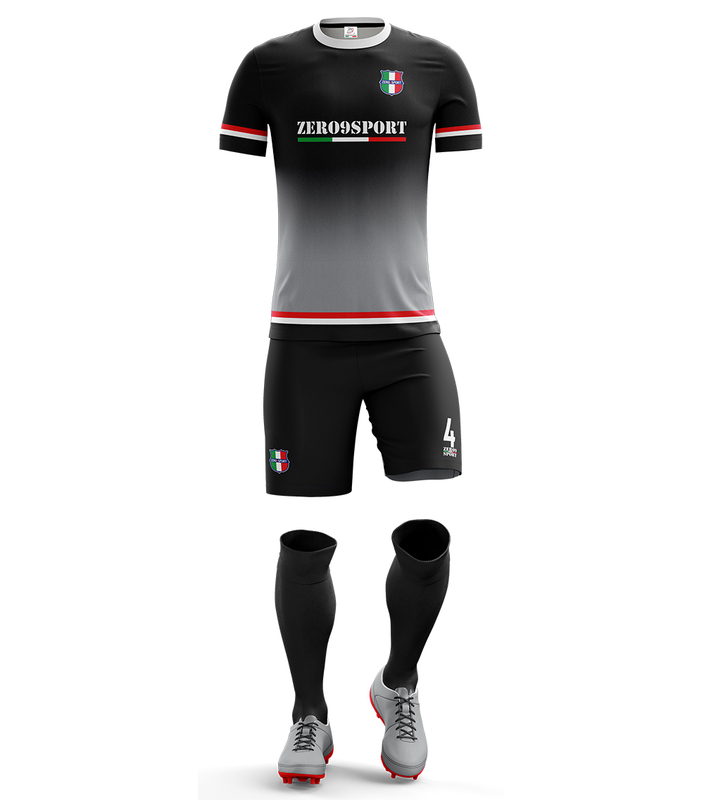 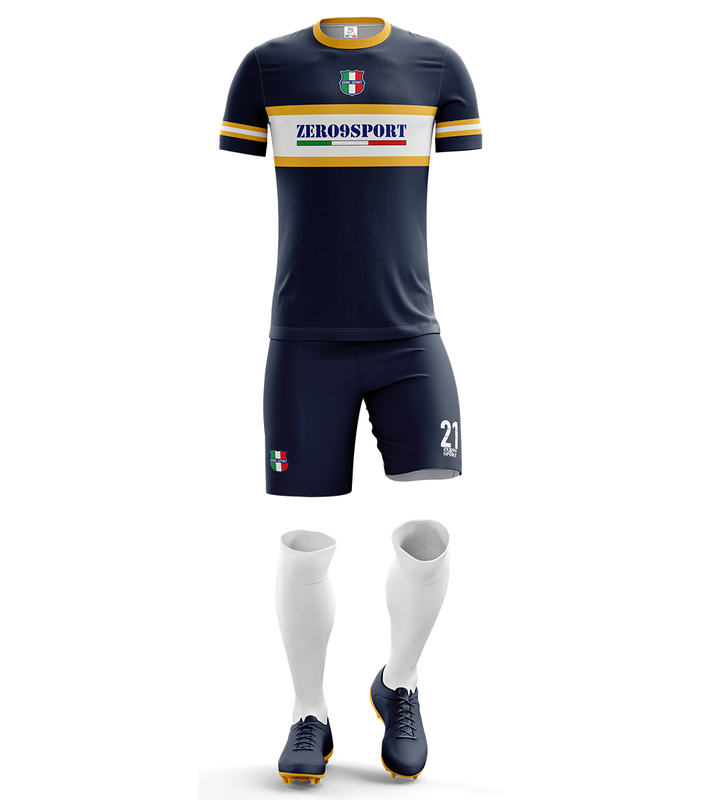 On the front of the shirt there are the team's shield (heart side) and the sponsor (on the chest); on the back of the shirt there are the writing that recalls the past year and the present year of the team (under the collar), the name of the team (on the shoulders) and the number of the player (personalized with the shield of the team). 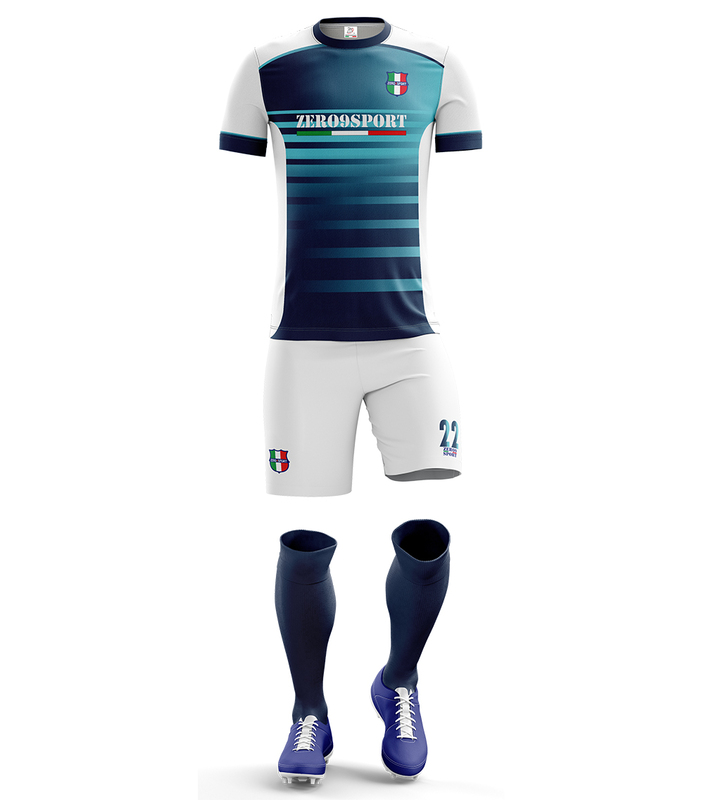 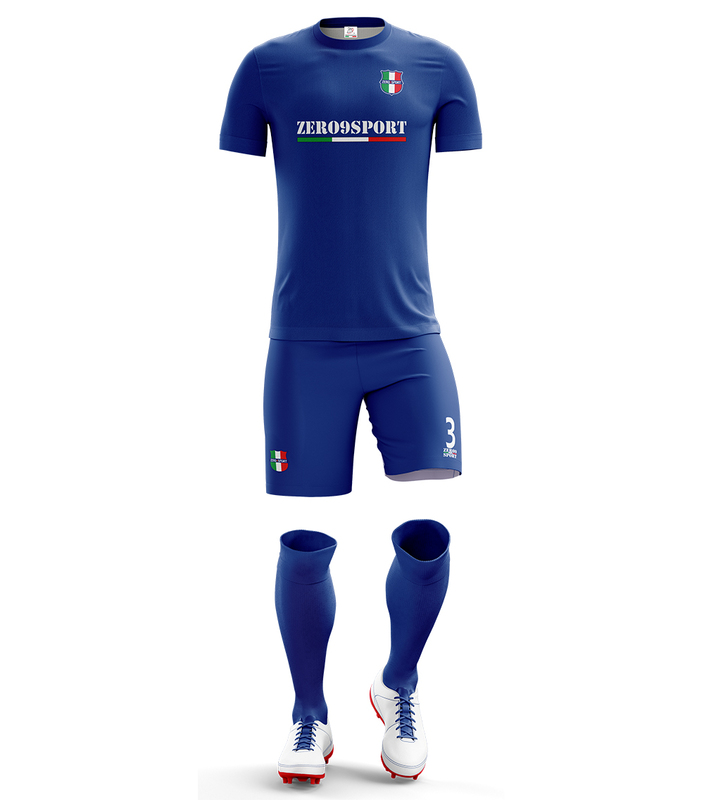 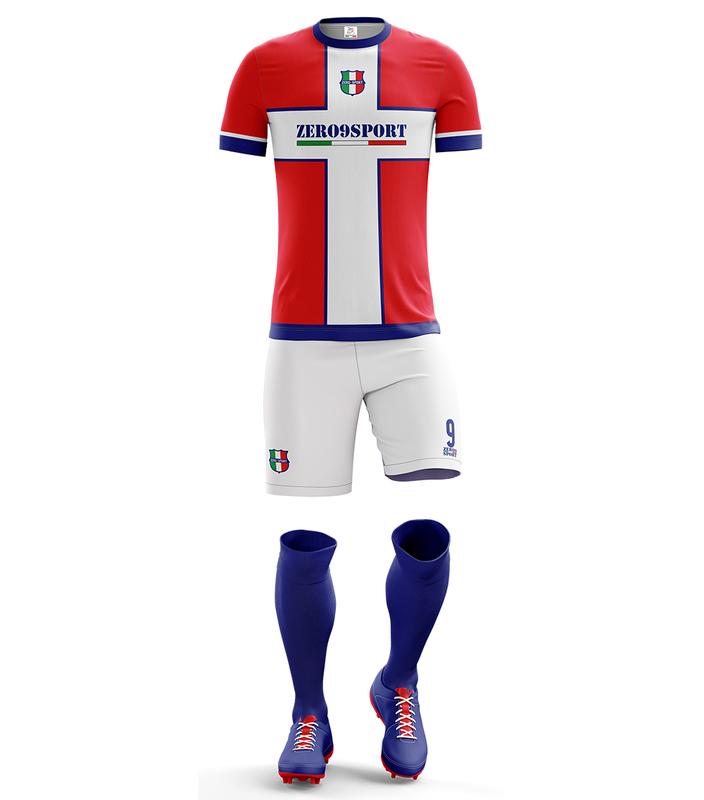 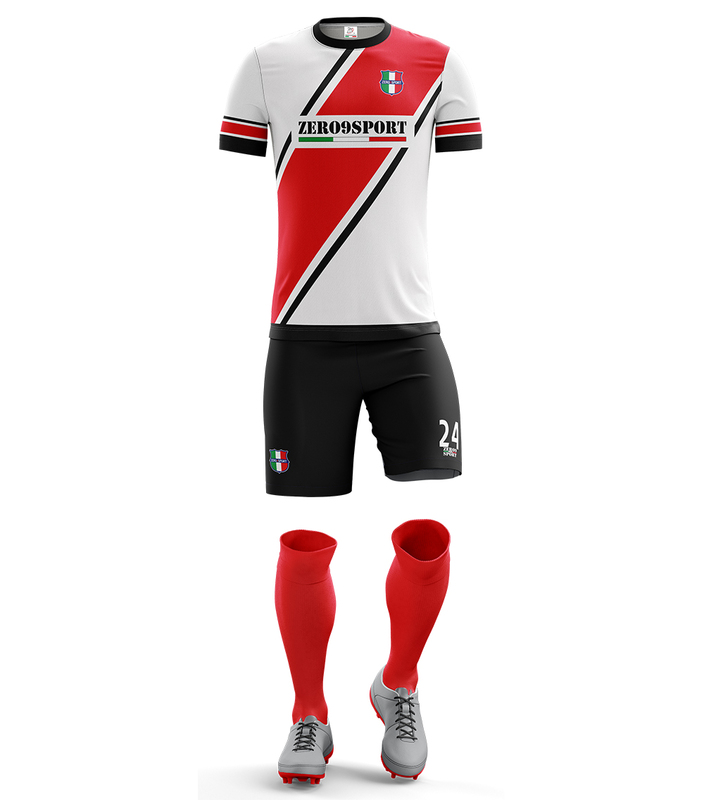 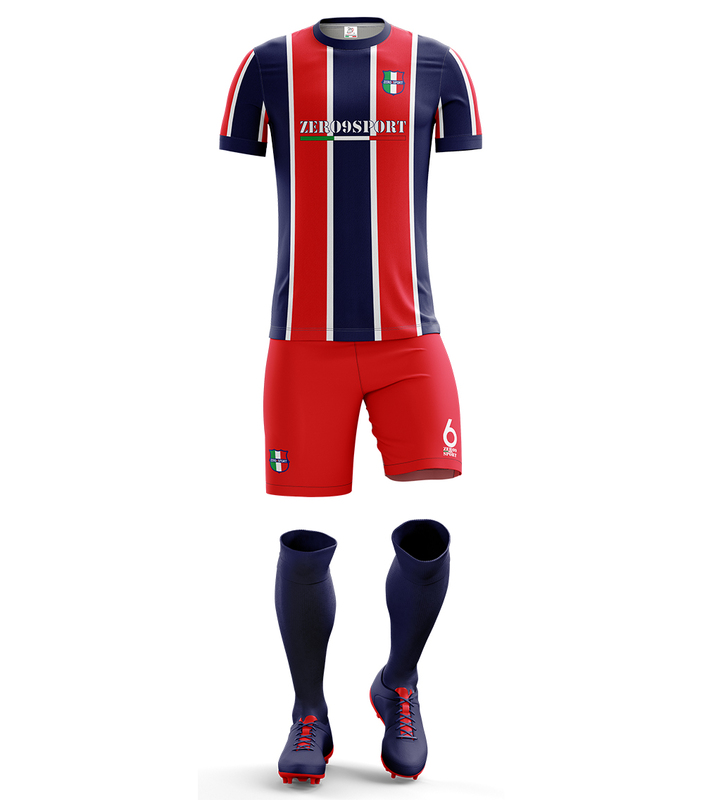 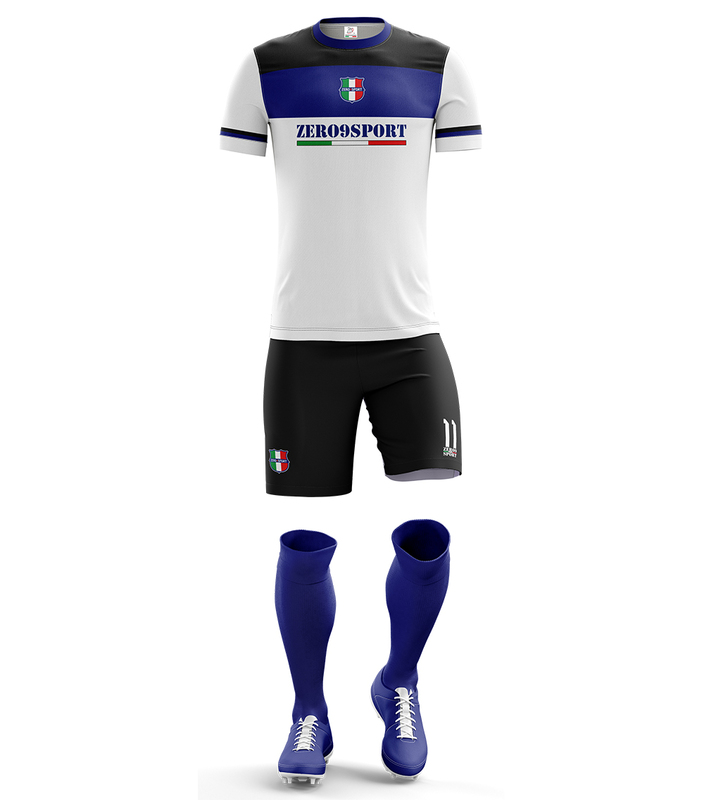 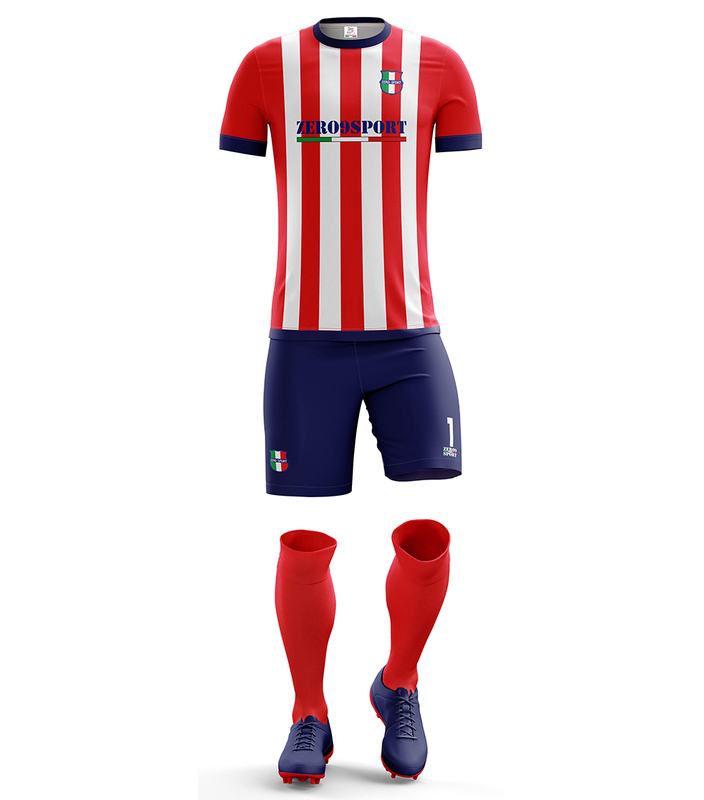 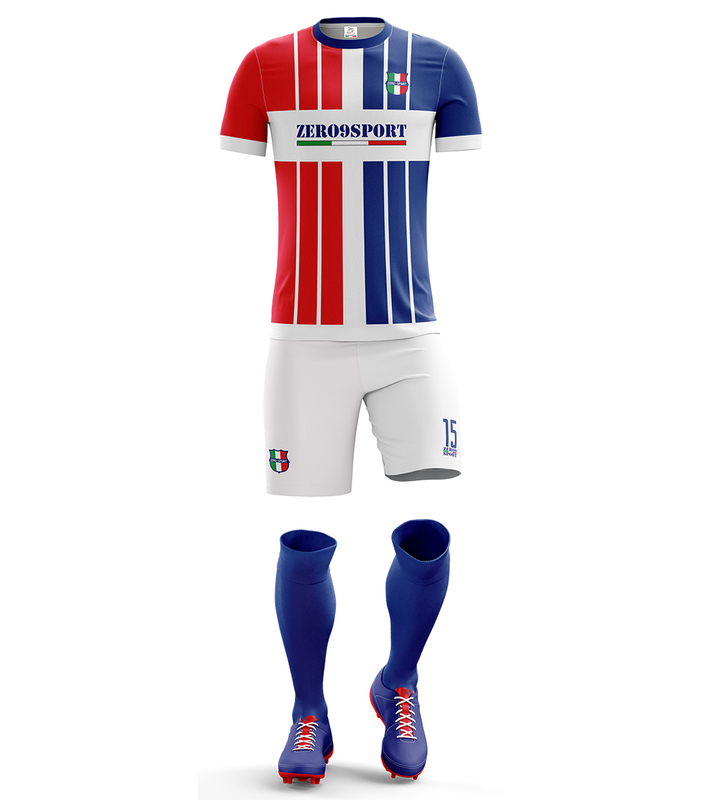 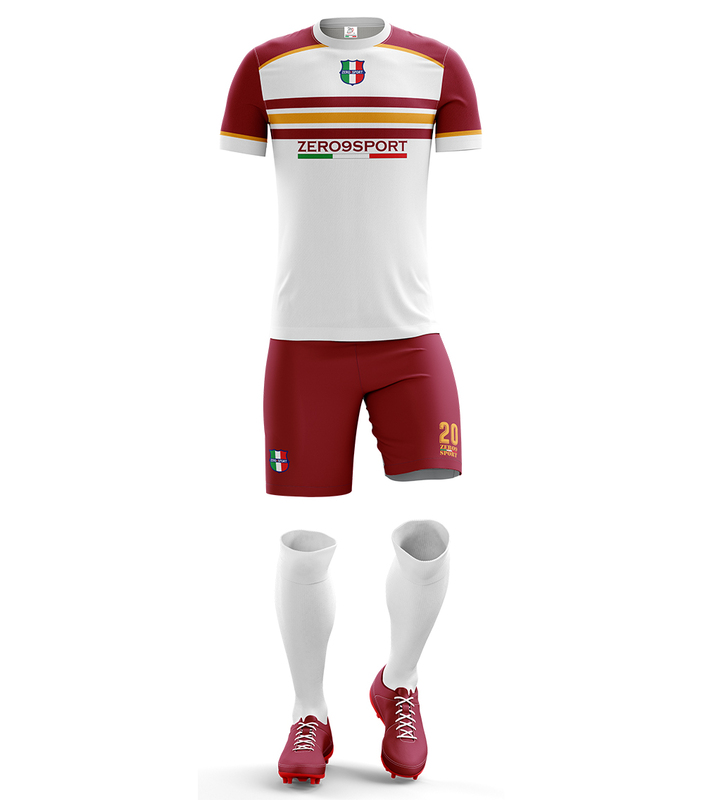 The shorts, also made of technical polyester fabric, are in blu, with the shield of the team on the right thigh and the number of the player on the left thigh.